Some thoroughly depressing and thoroughly predictable news from The Guardian: two-thirds of UK adults think social networks should be shut down during riots.They're in good company, because David Cameron thinks that's a good idea too. If you're wondering why on earth so many people would want to shut down services that were overwhelmingly used for good - to defuse rumours, to warn of troublespots and to share transport information - then you don't need to wonder for very long: the pro-ban camp just happens to be the doesn't-use-social-media camp. "Support for action against social networks was strongest among over-65s and weakest among 18 to 24-year-olds, who are the heaviest users of the online services," The Guardian reports. We're seeing a familiar picture emerge: what seems perfectly reasonable - in this case, stopping nasty rioters from organising their nasty riots - turns out to be considerably more sinister when you know the facts. Just because something seems reasonable doesn't mean it is. Here's another perfectly reasonable proposition: we wouldn't allow Counterfeits R Us to set up on the high street, so we shouldn't allow it to exist online. That's the BPI's position regarding the Pirate Bay, which it wants BT to block. Unfortunately what seems reasonable here isn't. Let me give you an example: the other night I tried and failed to find a legitimate pair of Sennheiser headphones on eBay. There were fakes everywhere. Would it be reasonable for Sennheiser to demand that the Post Office doesn't deliver any counterfeit headphones to anyone in the UK, or that ISPs block eBay? Of course not - but that's effectively what the BPI wants BT to do with the Pirate Bay. 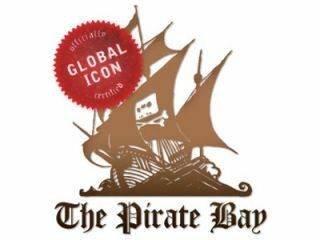 The Pirate Bay doesn't directly host infringing content, and it isn't based in the UK. The BPI wants BT to block the site because going after it properly - through international courts - would be too difficult and too expensive. That's the BPI's problem, not ours or BT's. It's not as if the blocks work anyway. Just ask Newzbin2, whose court-mandated block can be evaded by changing from http to secure http. Even when the blocks are more comprehensive, sites can just move: block The Pirate Bay today and you'll see people on The Piratey Bay tomorrow. We need to be careful what happens in our name, what happens under the guise of being reasonable. Here's an extreme example: as The Guardian's Deborah Orr points out, two recent, horrific murders might have been prevented if we'd known what sites the perpetrators had been visiting and what they'd been using Google to search for. Monitoring everybody's web use, calling the cops if they search for certain things and putting people in prison to make sure they don't commit crimes sounds perfectly reasonable.